Home Ground Services Thinking of Building a Hangar? Jet Aviation’s 3rd hangar at Seletar Aerospace Park in Singapore. 1 Consider your requirements – What components are necessary for immediate and future aircraft and for the facilities and amenities to support your operation? Do you need office space for your flight department, covered parking, a maintenance shop, or self-fueling? 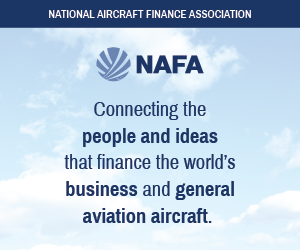 2 Meet with aviation real estate developers – The NBAA’s website lists aviation real estate companies. Check references. Visit one or more hangars built by the developers under consideration. Speak with the hangars’ owners about their experiences working with the developers. 3 Check with your preferred airport(s) to see if a new hangar can be accommodated and if the airport is willing to work with you. 4 Conduct a feasibility study, so you understand whether the economic, technical, and legal risks, as well as the timing issues you envision for your hangar project, match reality. 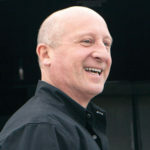 5 Determine your budget – How much are you willing to pay in total costs and on a monthly basis? 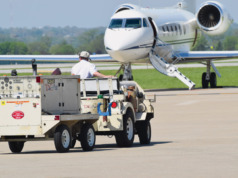 Public airports lease the ground, typically for a term of 30 to 50 years at an annual fee of $0.10-$0.75 per square foot, after which your hangar becomes their property. 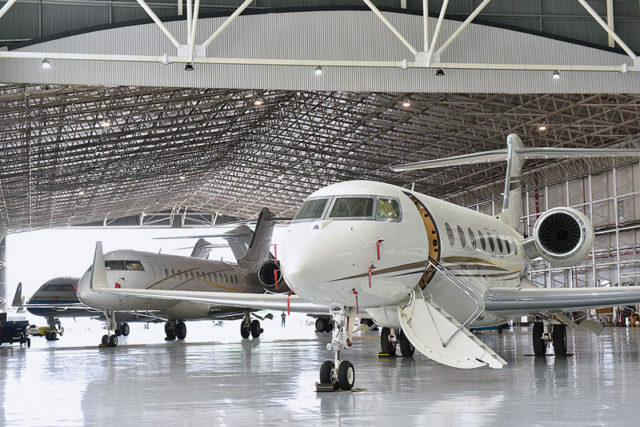 The total development cost for a hangar can range from $50 per square foot for a simple hangar (think “barn”) to $350 per square foot for a more sophisticated facility. Include costs to pave any new ramp space or access to the taxiways, which will be determined by the fully loaded weight of your aircraft and its distribution across the wheels. Ongoing costs include financing, if any, as well as insurance, personal property tax, maintenance, and property tax. 6 Commission a site survey and a Phase One environmental study. Environmental or conservation issues need to be addressed before a building permit can be issued. You will discover if the site is home to an endangered species or contains hazardous materials. 7 Assemble the planning team: an architect, plus geotechnical, civil, and structural engineers. 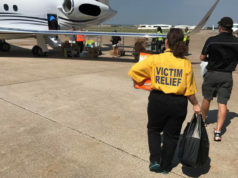 The engineers will specify the best access to the taxiways, identify the available utilities, classify the soil conditions, and plan for drainage. 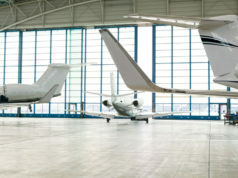 The architect will incorporate the engineers’ findings and recommendations to select the types of materials to be used; ensure the building meets guidelines to withstand hurricane-strength winds, snow loads, heat, and/or humidity; specify the ideal hangar door configuration; and prepare the building’s plans to meet your needs. The size and the use will determine if the hangar’s fire suppression system will be sprinkler or foam. If there is insufficient water pressure to support a sprinkler system, a costly water tower may be required. Foam suppression, if required, adds a significant cost to the construction of a hangar. 8 Hire an attorney experienced with aviation developments to review the airport’s ground lease, development contract, and financing documents, if required. 9 Obtain permission to develop from the FAA, the airport, and local authorities. Depending on the location, obtaining a building permit may take one month to two years. The ground lease will specify a construction start date and a total minimum development cost. Should you fail to meet these requirements, the airport will have the right to terminate the ground lease. 10 Begin construction – The actual time to complete the hangar could be four to twelve months. Make provisions for weather conditions in the schedule. This article is spot on. I would suggest you use an aviation practice engineering & architectural firm because at some point you will need to get expertise from this type of firm if you don’t. I have seen this numerous times as an airport manager. I do like how you mentioned that we will have to work with an entire team for us to be able to have our perfect hangar with our bottom rolling hangar door. That is something I will be sure to do before we get our plane next year. Having a place that should properly accommodate it should be the first step we are to take. Thanks!